Alongside their market-leading skills, time is one of a freelancer’s most valuable assets. But too many freelancers don’t charge what they are worth. Too often, freelancers don’t understand the true value of their time, and profits can suffer because of it. FreeAgent - a cloud accounting software package designed for freelancers and other small businesses - has a time tracking feature that lets self-employed workers keep tabs on ALL of their time. This helps freelancers charge what they are really worth and can help them eliminate distractions and other productivity-killing interruptions to increase profitability. In this blog post, we talk about how freelancers can use FreeAgent to charge what they are worth and plan their day more productively. What is your time really worth? Tracking time gives you the best insight into your business. And this doesn’t mean just tracking the time you spend actually completing work. 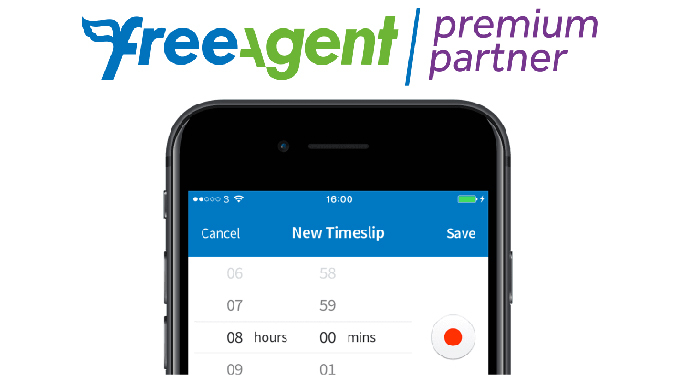 FreeAgent’s time tracking feature lets you track both billable and unbillable hours, so as well as working, you know how long you spend sending (and chasing) invoices, travelling and making phone calls. If you know exactly how much time you spend actually working on a project and doing all of the necessary administration tasks, then you can build up a better picture of how much your time is actually worth. This can help in the future when you come to do similar projects, because you will have a better idea of how long everything will take and you might be tempted to charge more as a result. Tracking time also means you can judge which are your best clients. Simply total up how much each client pays you and divide that by the total hours you spend working for each client and you will know how profitable each one is. You can use this insight to inform future client selection or you may wish to increase your rates for the clients which aren’t so good. Time-tracking is also helpful to boost productivity. Lots of people aim to spend a solid eight or nine hours work in each day. But with productivity-sapping interruptions and procrastination a constant threat, few of us actually manage to achieve a full days work. Fortunately, FreeAgent time tracking also means that you can track all of the time you spend reading and answering emails, time spent reading up on the latest industry trends and time spent networking (or procrastinating) on social media. These insights will help you identify and eliminate the biggest interruptions and distractions that occur throughout your day. Instead, you can focus on the most productive use of your energy. FreeAgent is the fast way to do bookkeeping. The software tracks all your time for you, lets you send and keep track of invoices and allows you to submit expenses. All of this means you can spend less time worrying about the financial administration of your business. You can access the software from your computer or on mobile, so whenever you have a spare minute you can keep on top of the day to day books. And if you ever have a question or a problem, then a FreeAgent accountant will be able to log in to your system and help you out of any difficulty. For more information about FreeAgent software, please speak to a member of the CloudAccountant.co.uk team. Call: 0808 281 0303.